Spring, I love you. I mean it, I really love you. You make me happy, really happy. Not only because I got to wear my new shoes babies for the first time, but I have been able to let some sunshine soak into my skin, and you helped me get a tan (I tan easily, please don't hate me). 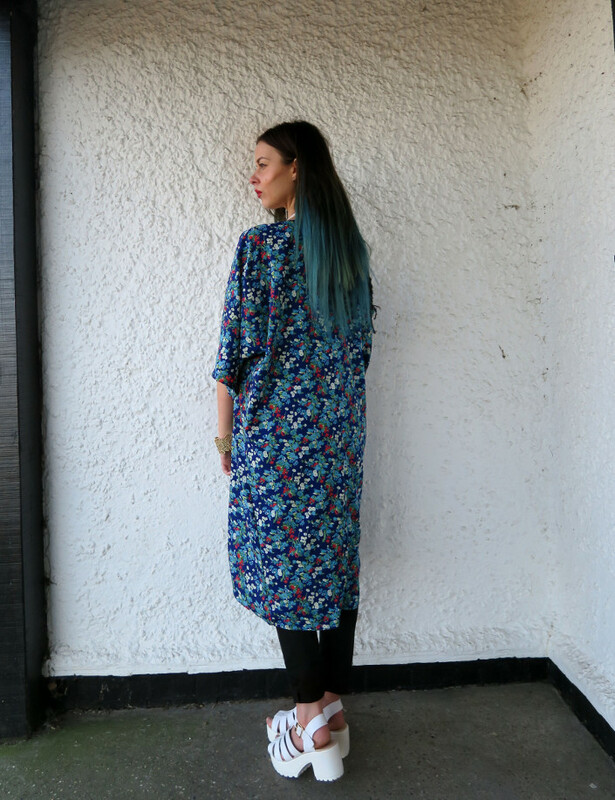 I got this kimono for the bargain price of £4 - yes, you heard correctly, £4(!) from clothesminded.co.uk who currently have the world's most epic sale on at the moment, with things from as little as £2, check it ladies, can you seriously turn down such bargains? I don't know about you guys but I am so happy to start wearing more from my S/S wardrobe. I'm so happy that I could do a little dance, AND I'm just about to make you a little happier too because I have a 10% discount code to help you satisfy all of your shoe desires from Spylovebuy.com* - I know, I know, I'm such an enabler! Just enter the code HE10 at the checkout. Happy shoe shopping!